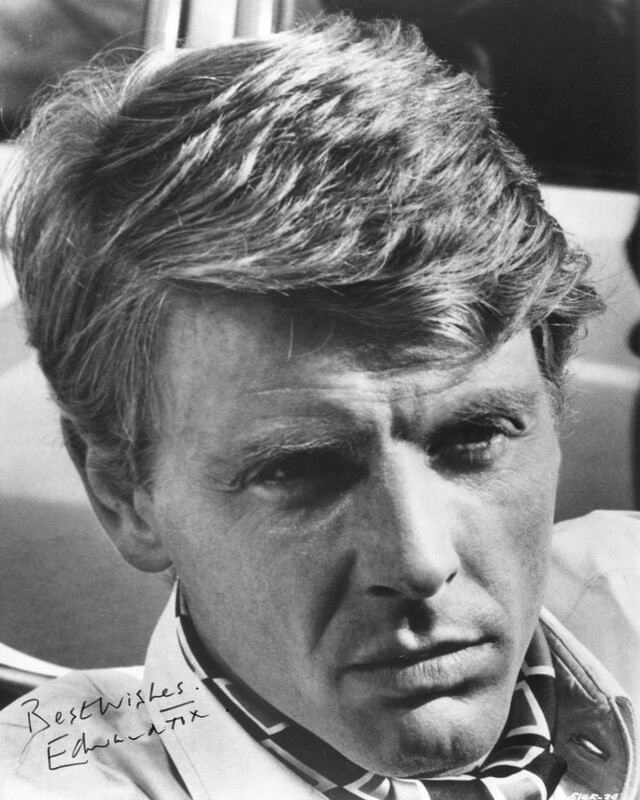 Edward Fox was born in 1937 in Chelsea, London. He is the older brother of actor James Fox. He came to prominence in the cinema as Julie Christie’s suitor in “The Go-Between” in 1970. Career highlights include the leading role in Fred Zinneman’s “The Day of the Jackel” in 1973 and on television as King Edward in “Edward and Mrs Simpson” in 1978. His children by Joanna David are the actors Emilia Fox and Freddie Fox. His brother is the actor James Fox. Fox was born in Chelsea, London, the son of Robin Fox, a theatrical agent, and Angela Muriel Darita Worthington, an actress and writer. He is the elder brother of actor James Fox and film producer Robert Fox, and an uncle of actor Laurence Fox. His paternal great-grandfather was the industrialist and inventor Samson Fox, and his paternal grandmother was Hilda Hanbury, sister of the stage performer Lily Hanbury. His maternal grandfather was thedramatist Frederick Lonsdale, and his maternal grandmother was the daughter of football player and stockbroker Charles Morice. He was educated at Harrow School in northwest London and served as a lieutenant in theColdstream Guards, a regiment of the British Army. Fox made his theatrical début in 1958[clarification needed], and his first film appearance was as an extra in The Loneliness of the Long Distance Runner (1962). He also had a non-speaking part as a waiter in This Sporting Life(1963). Throughout the 1960s he worked mostly on stage, including a turn as Hamlet. In the late 1960s and early 1970s he established himself with roles in major British films including Oh! What a Lovely War (1969), Battle of Britain (1969) and The Go-Between (1970). In The Go-Between, he played the part of Lord Hugh Trimingham, for which he won a BAFTA award for Best Supporting Actor. His acting ability also brought him to the attention of director Fred Zinnemann, who was looking for an actor who wasn’t well-known and could be believable as the assassin in the film The Day of the Jackal. Fox won the role, beating out other contenders such as Roger Moore andMichael Caine. He has consolidated his reputation with regular appearances on stage in London’s West End. He was seen in Four Quartets, a set of four poems by T. S. Eliot, accompanied by the keyboard music by Johann Sebastian Bachperformed by Christine Croshaw. In 2010, Fox performed a one-man show, An Evening with Anthony Trollope, directed by Richard Digby Day. In 2013 he replaced Robert Hardy in the role of Winston Churchill in the premiere ofThe Audience, after Hardy had to withdraw for health reasons. The above “Wikipedia” entry cn also be accessed online here. This is awesome Liam, how I wish I also have signed photographs of my favourite musicians. I use music as a therapy and I hope you can check my site. This article is about the piano keyboard layout to help those who wants to learn and understand the piano. Here is the link https://musicadvisor.com/piano-keyboard-layout/, I hope you check it out and let me know what you think.